Summerdale Workshop | Seriously fun youth theatre. Summerdale Workshop provides young people with acting training in a playful yet focused setting. Children discover and define their own unique voices by working together to create and perform original works of theatre. 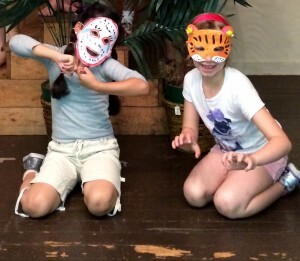 Utilizing the theatre games and performance techniques of Viola Spolin, young actors learn the basic tools to become relaxed and competent on stage. Additionally, these techniques have a positive impact on a variety of real-life situations because they emphasize listening, teamwork, empathy, and focus. Summerdale Workshop embraces the imaginative creativity in each child, keeping class sizes small while encouraging group awareness and individual responsibility. Everyone can act. Everyone can improvise. Anyone who wishes to can play in the theatre and learn to become ‘stage worthy’.